One design trend that isn’t going out of style anytime soon is bold paint colors for the interior of your home! 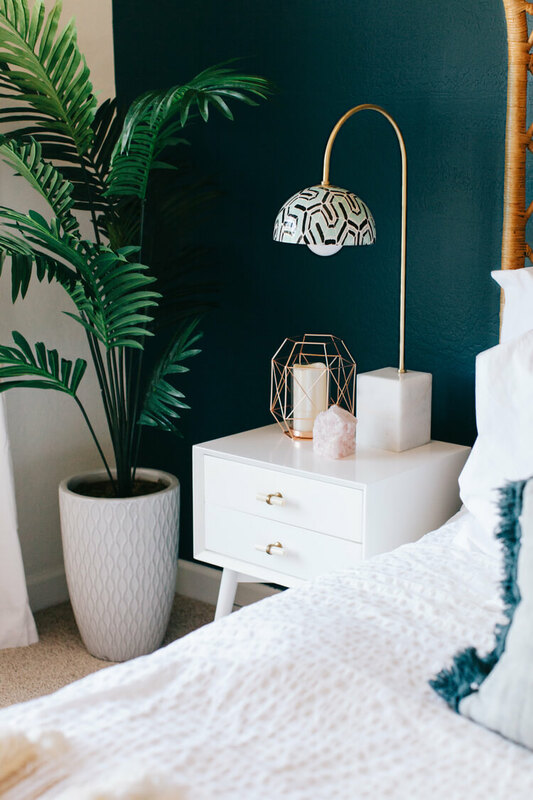 From a whole room painted green to cabinetry, furniture or an accent wall it’s all about that pop of color that enhances our mood and makes a statement in our home. Green paint really gives off that earthy sophisticated look and there are many ways you can incorporate this warm color into your room design and home decor. Looking for a complete room makeover? 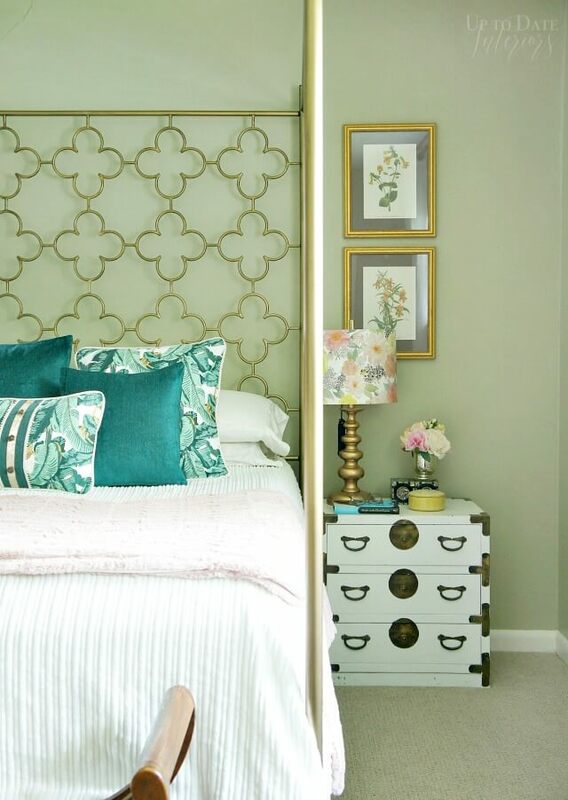 Give your bedroom a bold olive green accent wall or go with a half-painted wall which is really on trend right now. Whichever way you look at it, a green room is sure to spark conversation and create a bold style that can transform any area of your home in an instant. Let’s not just stop at wall paint. You can update your home decor without painting your walls, and instead of updating fixtures and furniture in a variety of shades of green. 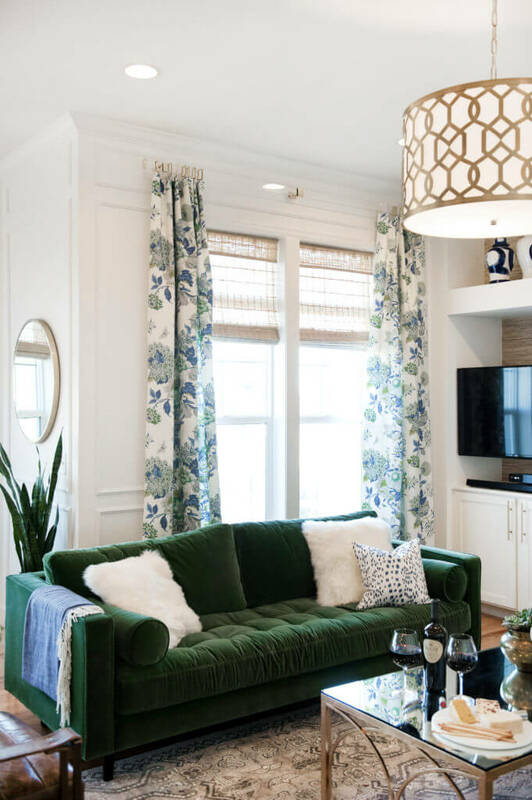 Update your living space with a fun lime green couch cover for a pop of color that stands out, paint your kitchen island a warm shade of green for a timeless look or refinish an old cabinet or furniture piece to spruce up your space with little effort. Don’t be afraid of the dark with this dark green office. The bold color in the office really adds a natural touch with the shelving and additional wall decor really popping. This office space provides a modern, yet traditional mix of elements with the natural wood flooring blending perfectly with the captivating green wall. Updating any room of your room has never been easier with DIY wallpaper. 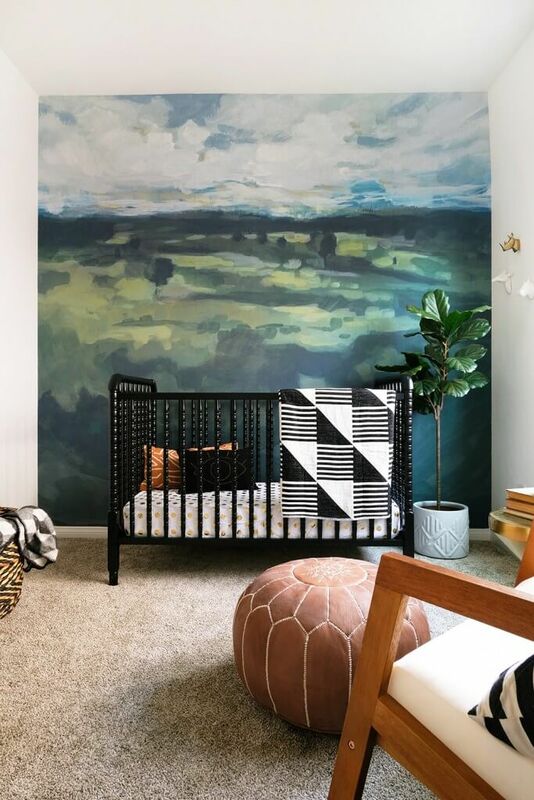 This floor to ceiling beautiful nature scene really pops in this Scandinavian nursery against the black crib and natural wood decor. Not only is it an eye-catching masterpiece, but also it’s very calming which is essential for a babies room. Give your minimalist space a pop of color with a little botanical focal point. This simple wall feature adds color to this otherwise basic white living space and by adding a few additional green accent pieces like the magazine tray and plant it really ties the space together quite well. The main element of everyone’s living room is the couch. 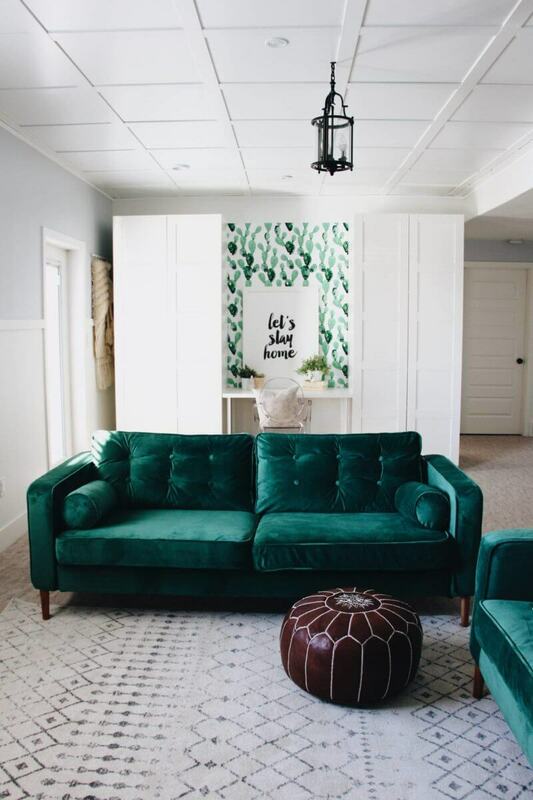 What used to be a popular 70s trend, is coming back in full effect with a green velvet couch that adds glamour and comfort to your living space. If you’re afraid of your room looking too dark or wintery, lighten it up with white walls and a natural area rug. This daring combination of green and gold is worth taking a risk. 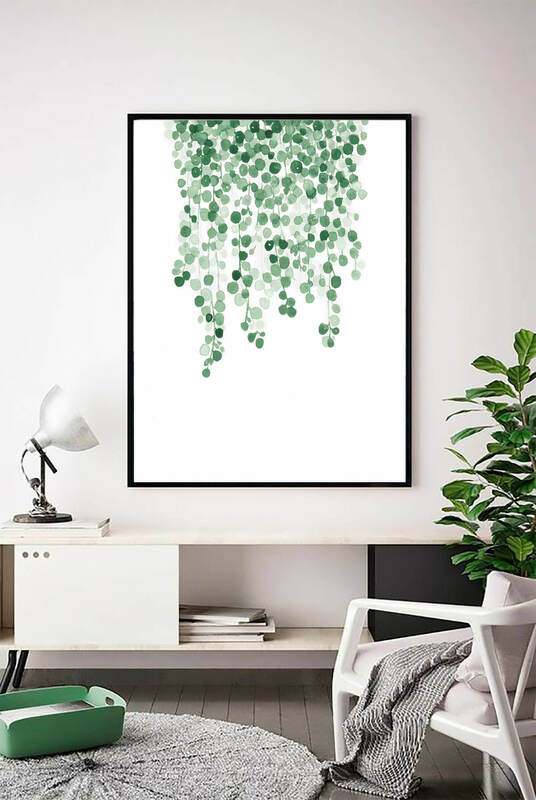 These rich green hues on this gorgeous wall art really pops with the neutral wall color. 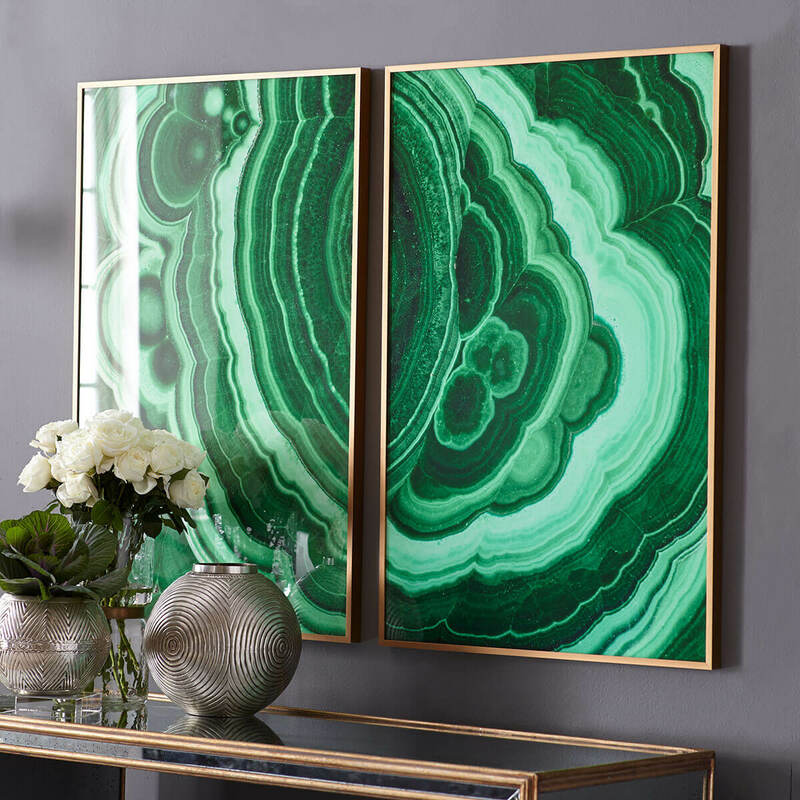 The bold marble mural brings drama and beauty to this unique space especially with the gold frame detailing outlining the art piece and coordinating tabletop display. What an incredible modern, boho master bedroom retreat! 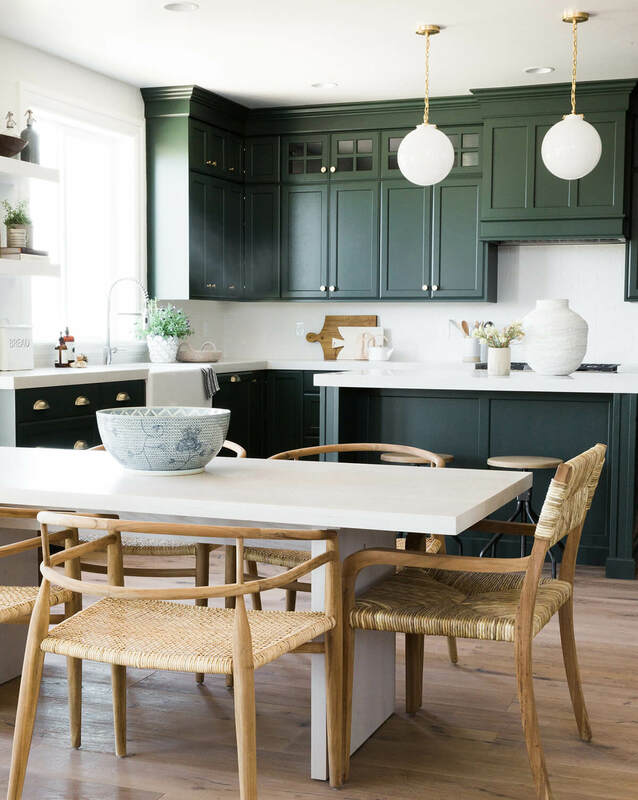 This stunning space is so inspiring and enjoyable with the perfect shade of green on the accent wall against the white furniture pieces throughout. Not only is this space dreamy and relaxing, but it also gives off a formal and sophisticated vibe. 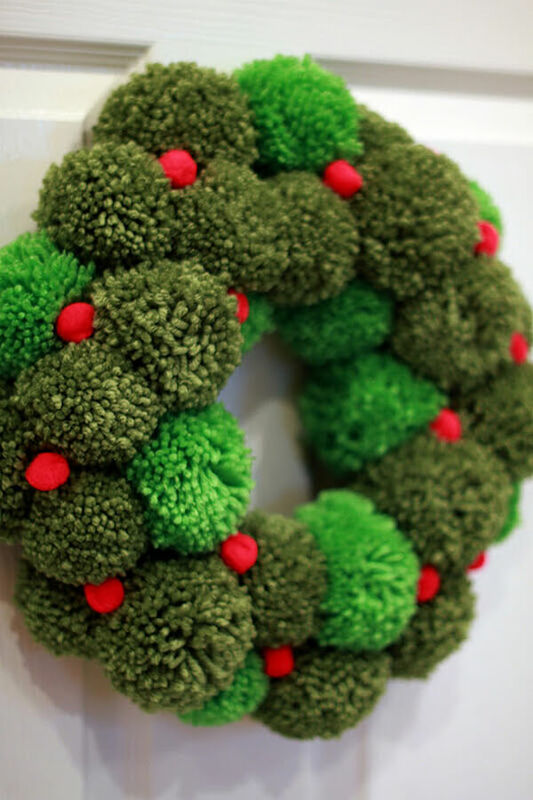 What better way to accent your front door than with a super fun crafty pom pom wreath. These are so fun, easy, colorful and a great way to brighten up your space no matter where you place it. The shades of green in this wreath are great for the holidays or to tie into your existing decor for an all year around DIY project. 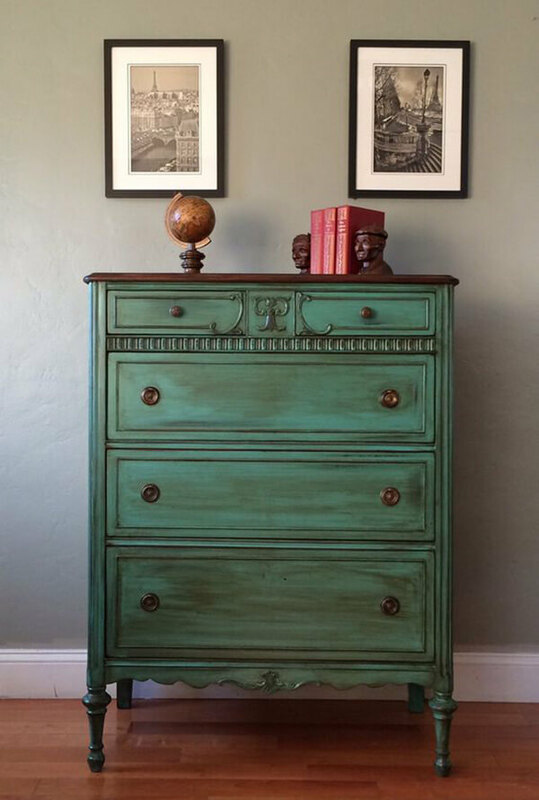 Give your old dresser a refresher with a beautiful emerald green paint that still gives off an old vintage feel while also accommodating today’s modern trends. The distressed paint makes this dresser feel old and weathered and really creates a sort of historic feeling to your home. Who wouldn’t want this gorgeous piece in their home? The navy blue sofa trend has certainly been in the limelight of home decor over the years, but there’s a new pop of color coming to town. Enter the dark green couch. It’s playful with its jewel-toned color, yet exudes natural elements that coordinate so well with neutrals. It’s eye-catching, dramatic and provides a happy medium to your home decor style. The walls in your home are essentially a blank canvas. It’s up to you to decide how you will create visual interest in each room and what better way than with a hint of green on the walls? 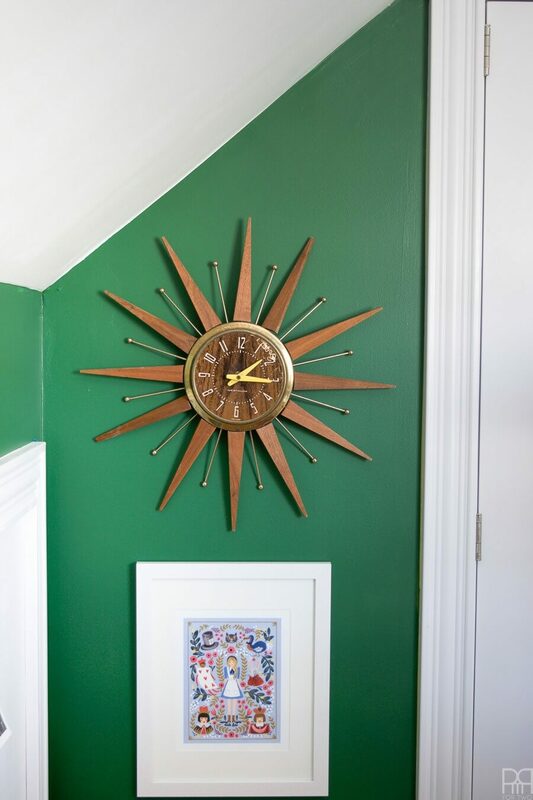 This fresh coat of perennial green paint adds contrast to your room and instantly your space goes from blah to tadah! Some of the most common question when it comes to nursery design and decor is what colors to incorporate. Research shows that yellow gives off a lively, energetic feel but can also be too bright and agitating for a baby. Green is usually the best color to use whether in a nursery or learning environment since it promotes a serene and calming vibe. 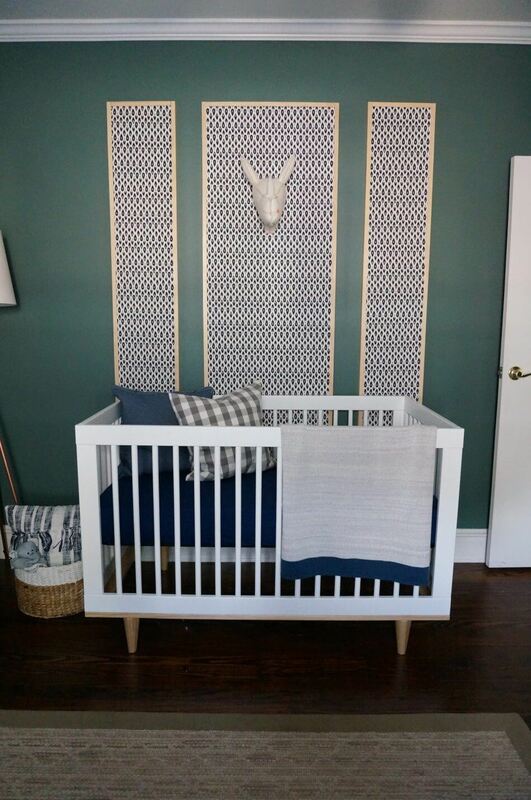 This green nursery design is simple, natural and very appealing. Tired of the traditional white farmhouse kitchen design? If you are looking to add some color to your kitchen, go green! Green cabinetry evokes growth, renewal and can bring your plain cabinets to life. This stunning, yet simple kitchen is so earthy and the minimalist design really enhances this kitchen’s aesthetics. 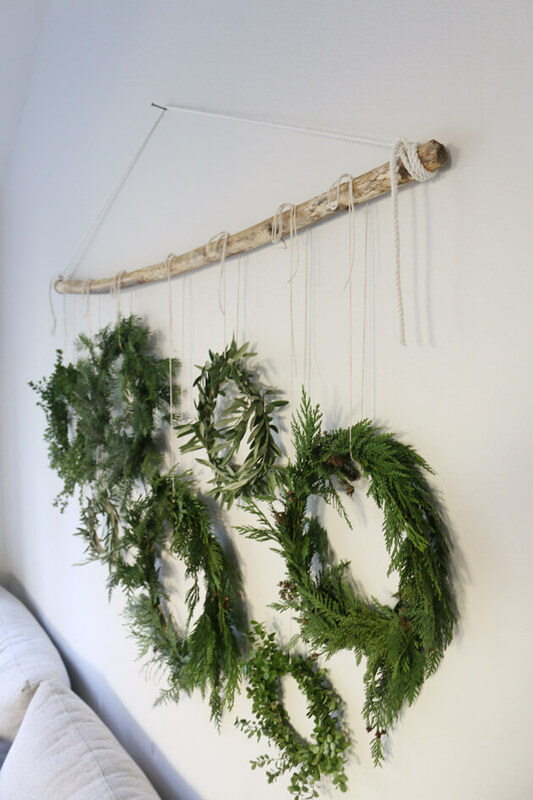 Bring the nature of the outdoors in with these homemade wreaths. The variety of distinct greens here adds contrast and visual design appeal. The wooden stick to hang the wreaths on is such a great natural feature along with the various heights and sizes of the wreaths themselves. This is such a simple DIY you can create and feature in your home. 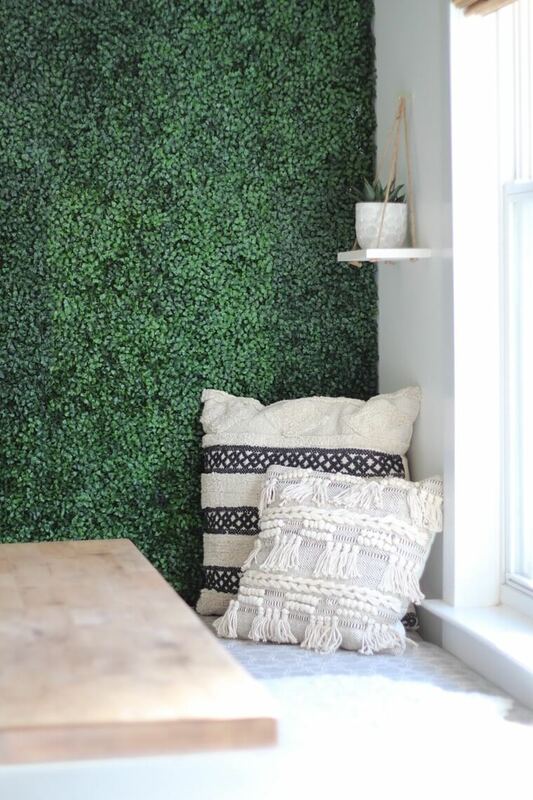 Usually, when you see an interior boxwood wall, it’s at a restaurant or boutique. Why not bring this bold feature into your home as an accent wall in your kitchen? This provides such a unique atmosphere to your kitchen area and brings in natural elements creating an indoor garden effect. When choosing a color for your bedroom, find a color that brings you joy and happiness. 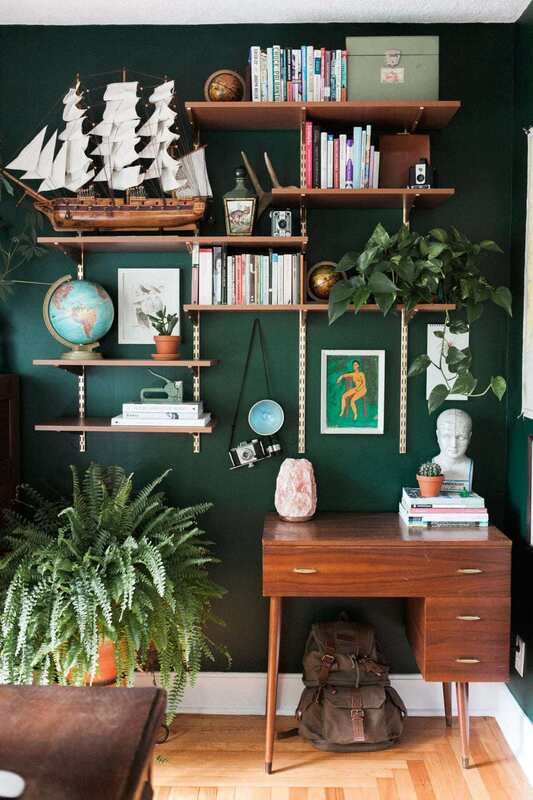 This green room feels super bright, yet still so cozy with a muted shade of green on the walls. This is such a fresh and lovely color that fits this room so well, especially with the gold accent detailing on the headboard and accent decor. 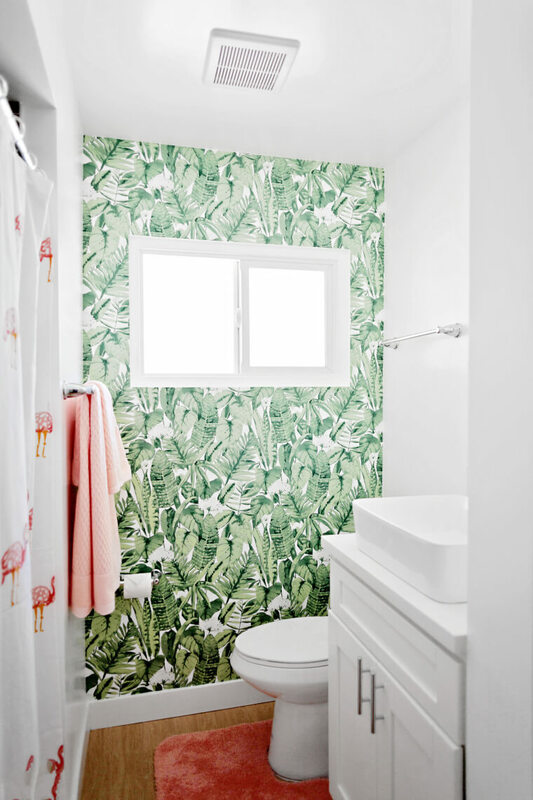 This peel and stick green wallpaper adds a botanical vibe to your bathroom. This is an effortless way to give your bathroom a complete makeover that doesn’t cost much and doesn’t involve any renovations. I truly love the pops of pink which really gives this bathroom a feminine feel. Letter boards are all the craze right now so this DIY embroidery hoop is the perfect weekend craft that you can use for any holiday and occasion. The neutral colors fit well with any decor style and you can easily use it for a variety of purposes. 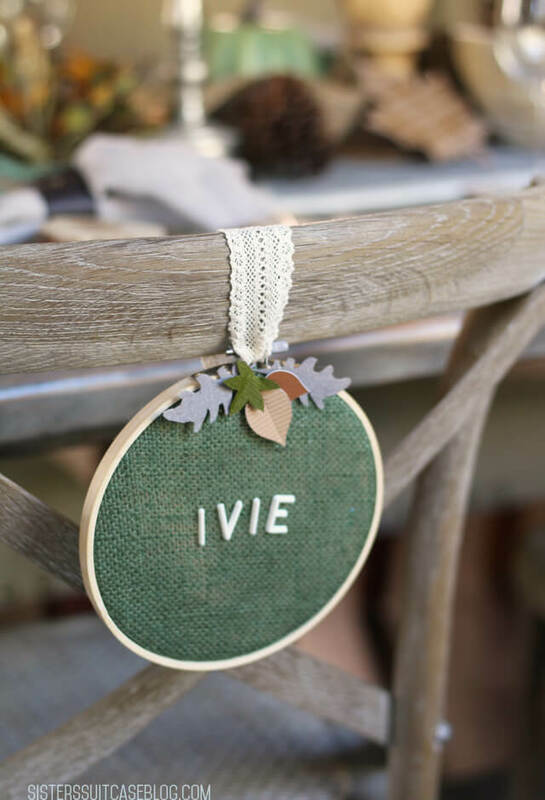 It can serve as a place card on a chair for a wedding (as shown), on the wall in the kitchen with your favorite quote or even hang it on the door as a welcome sign to your guests. The possibilities are endless with this letter board embroidery hoop. The tropical design style gives us a wild and exotic feel. It provides a botanical and earthy tone to our living space that is fresh and fun. 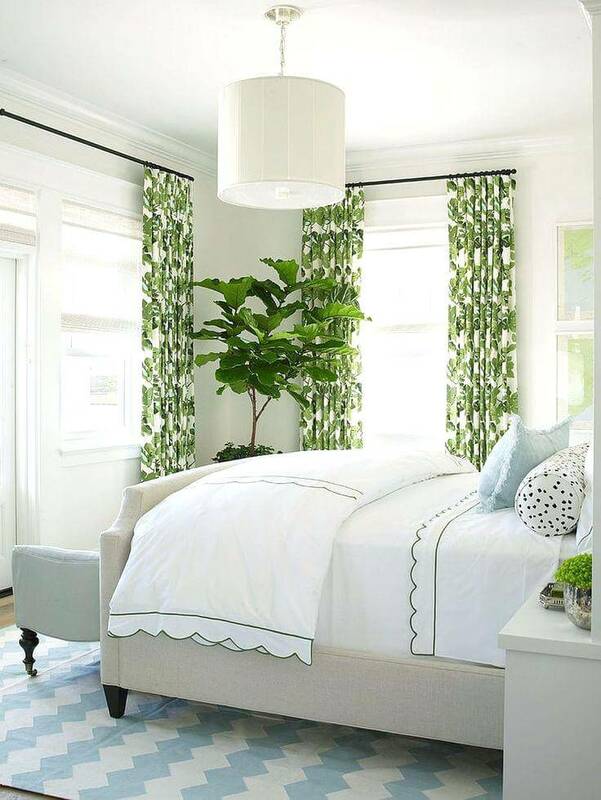 These palm tree curtains are eye-catching and make a bold statement. The large plant in the corner really ties this room together and adds a natural element to this gorgeous and cozy space.